Well, not THE official Rim Ride report as the official Rim Ride isn’t happening until next Saturday, let’s call it Kenny and Brad’s Rim Ride. Yotavan, the ultimate biking vehicle sorry, Ridgeline. I’m a little disappointed in myself. 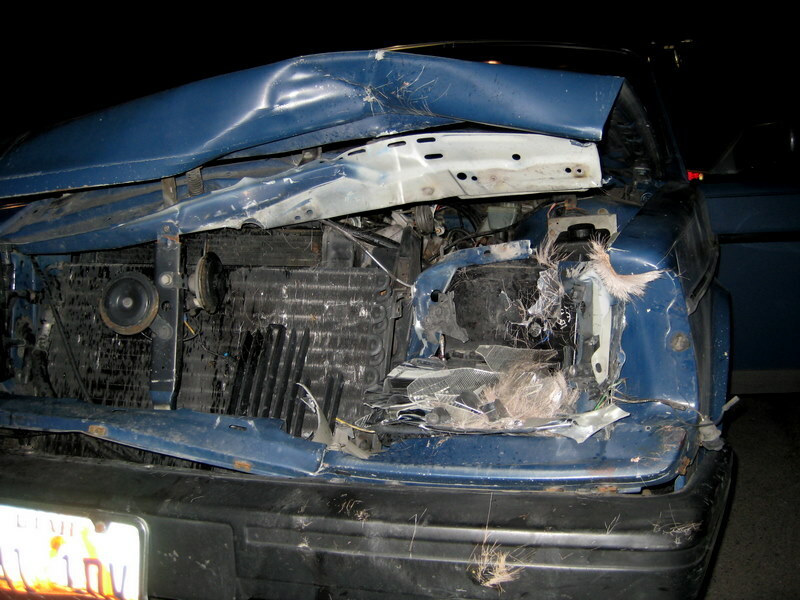 I was really hoping to have an epic story to tell of suffering and near death. I full on expected to be curled up in the fetal position on the side of the trail at some point during the ride. Nothing like that happened. Kenny and I felt great all day and we didn’t even have as much as a flat tire. It was perfect. Potash Road 6:00 a.m. We started at bottom of Poison Spider. 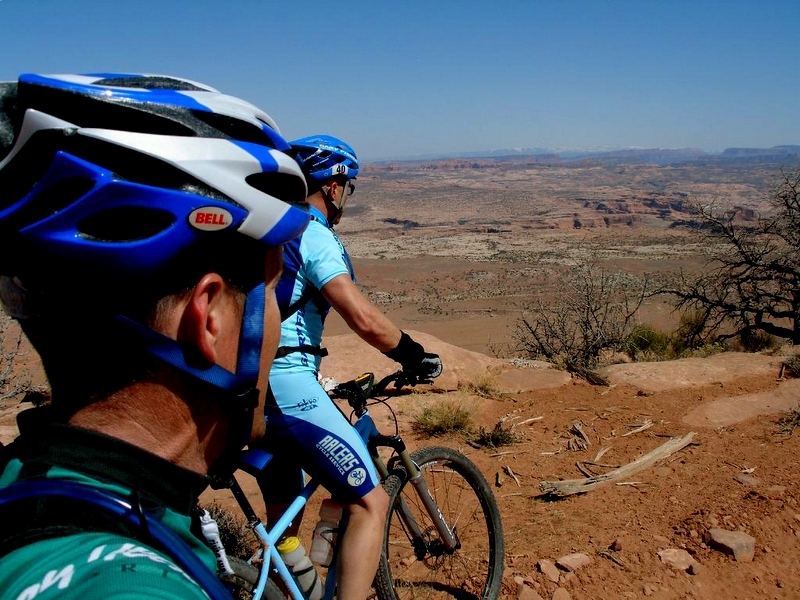 To the uninitiated, which included myself until yesterday, the Rim Ride connects a bunch of the best rides in Moab together in one big ride. 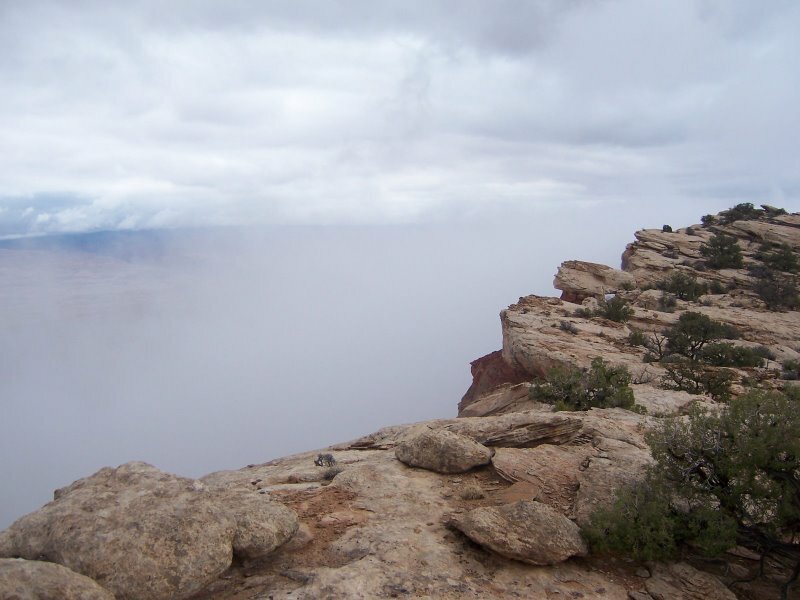 I think they connected in the following order; the Sovereign Trail, 7-mile canyon, Monitor & Merrimac, Gemini Bridges, Metal Masher(AKA Taint Trasher), Gold Bar Rim and Poison Spider Mesa. Our mileage came in at just under 90 and ride time was just under 10 hours with total time on trail of 11:30. We got lost a couple times out on Sovereign and the Monitor Merrimac sections so I’m pretty sure our GPS tracks do not follow the exact route of the official Rim Ride. View from top of Metal Masher. 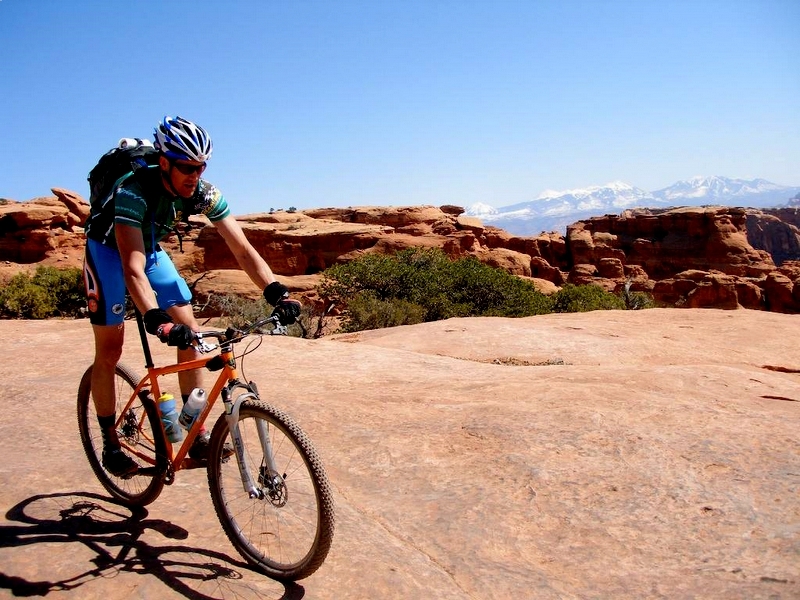 I can’t believe that I’ve been going to Moab several times a year for the last 15 years and never ridden Sovereign or Klondike Bluffs (we rode Klondike the night before). I think the Sovereign is the new go-to ride in Moab for me, loved it. 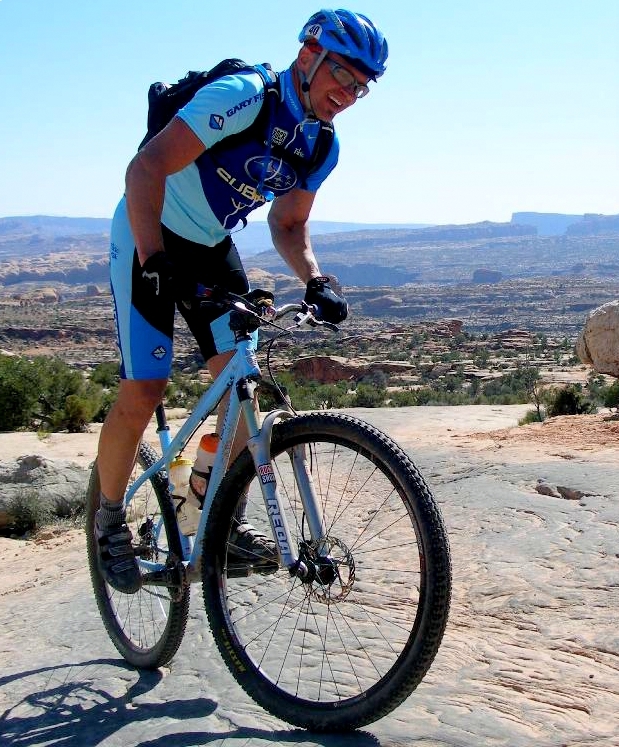 I found The Rim Ride unlike any other long distance mountain bike ride or race that I’ve done for a couple reasons. 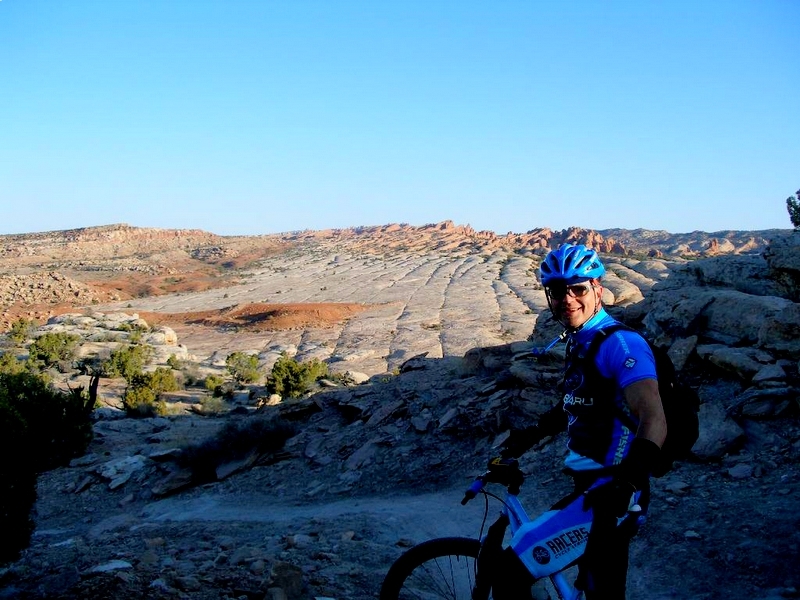 First, during most of the ride you can actually see where you’ve been and where you’re going. You get a sense of the enormity of it all not just physically but also visually which, I found to be a bit daunting at times. “Kenny, we were way over there and now we have to go way over there? Crap!” I’ve never experienced that before. Second, it’s far rougher and more technical than any other long ride I’ve done which made me very happy about my bike choice. 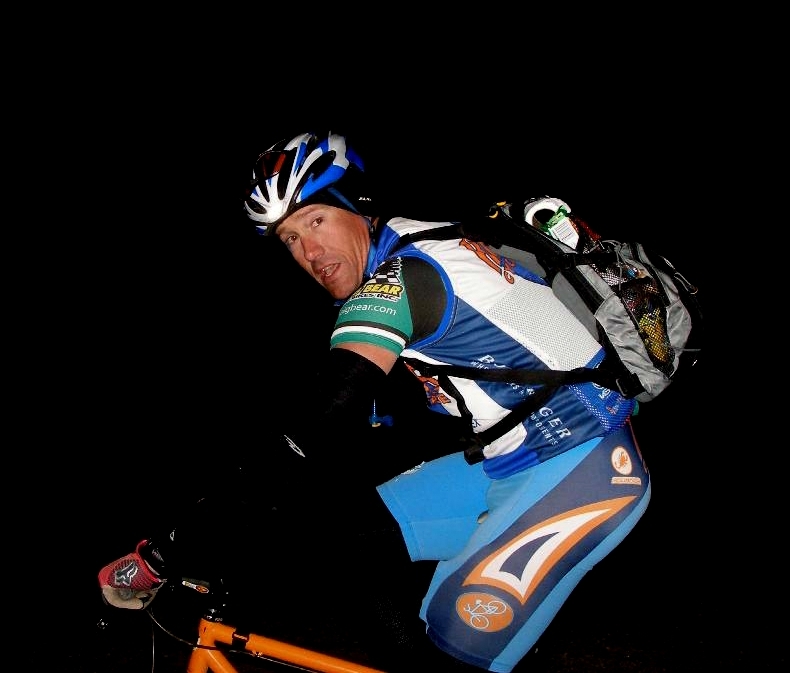 Kenny climbing Gold Bar and still smiling after 8 hours in the saddle. I must confess that I didn’t ride the dork bike. Kenny strongly suggested front suspension and after he nearly died last year doing the loop I thought I better listen. I dusted off the Walt Works and have to admit I was really glad to have suspension up front. If you’re heading down next week have fun and if you happen to be riding a SS 29er might I suggest a 32×22. We also saw several areas along the route to filter water though no guarantee that water will be there next week. I’d share my GPS tracks with you but I think they would do more harm than good on the Sovereign and Monitor Merrimac sections. I can’t wait to do it again. It’s definitely on the yearly calendar of must do rides. 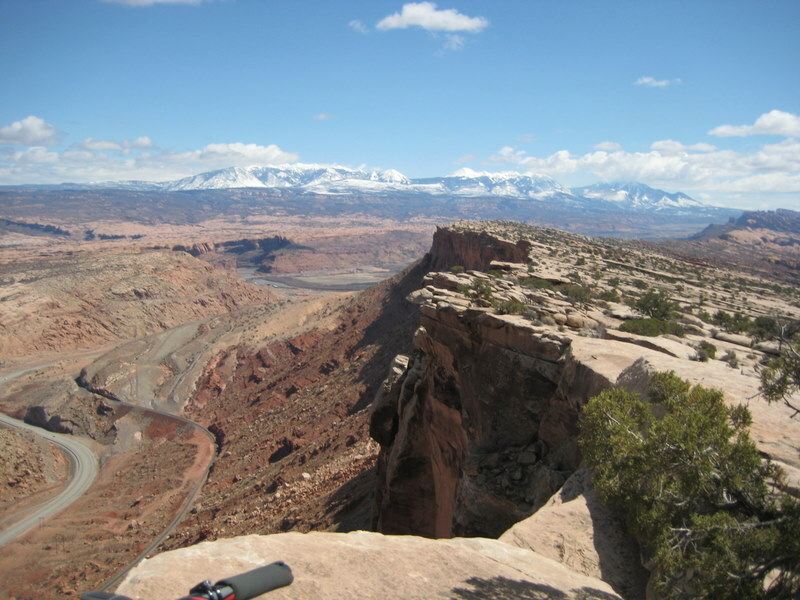 I was so excited to do the Moab Rim Ride at the end of the month but sadly can’t make it happen. So, I thought I’d go down the weekend before and do it. If anybody has a scheduling conflict with the original date or just wants some long hours in on the bike come down and join me on the 22nd. I stole this pic from Dave H.
No rules. I plan on stashing water and some fried chicken at about the 6 hour mark off the upper road to Gemini Bridges the night before so I don’t die like Kenny almost did last year. I’ll be leaving the park at 6 a.m. in the morning on Saturday. I’ll have a GPS with some of the trail tracked but not all of it. It’ll be fun and painful and surely one of the epic rides of 2008. I really have no idea what to expect so it’ll prolly end up being a good story. You don’t want to miss out on that do you?